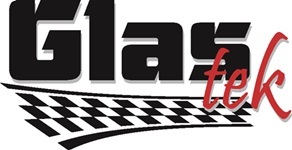 Glas Tek is a Luke Air Force Base windshield replacement and auto glass repair service company that prides themselves on their world-class customer service and the absolute best value. We serve all customers with unsurpassed high quality windshield replacements and yes we even come to you, the residents of Luke Air Force Base Arizona. We serve all over the valley every single day, and we have some of the most skilled glass technicians out there, who have at least five years in the business of Luke Air Force Base windshield replacement and auto glass repair. So who are you going to trust with your safety, in a rollover accident the windshield is about the only thing that is keeping you protected from the roof coming in. So just remember safety comes first, and when it comes to safety, value, and service your best bet is Glas Tek. with all new windshields, and earn 10% REWARDS on any future purchases. Glas Tek also is an approved and preferred auto glass replacement insurance provider for all major insurance companies including: Allied, Alliance, 2st Century, State Farm, Geico, Progressive and American Family. Our nationwide lifetime guarantee is backed by all major insurance companies. Insurance claims are fast and easy and can be completed in less than 15 minutes most times. 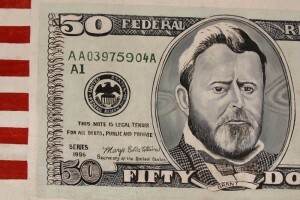 With all approved auto glass replacement insurance claims we will bring your $50 CASH on the spot. No worries, we accept and honor all insurance pricing therefore there will never be any additional out-of-pocket costs for you or your insurance company. To set up an appointment by one of our knowledgeable associates or for more information on our high quality services please call us at 623-476-8002. Our representatives are friendly and can answer any of your questions or can set you up an appointment. 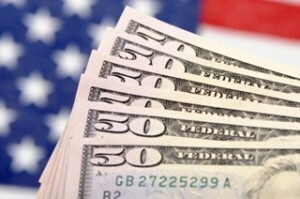 All of our services are insurance approved and can be no cost to you. The Luke Air Force Base is in Maricopa County, Arizona, located roughly seven miles west of the central business district of Glendale. The Luke Air Force Base is named after the first aviator to receive the Medal of Honor Lt. Frank Luke Jr., who was born in Phoenix in 1897. There are about 15,000 family members and over 7,500 members of the military located on the base at all times. The host unit at Luke Air Force is the 56th Fighter Wing, it’s a very big part of the Air Education and Training Command. The Fighter Wing contains eight fighter squadrons, the wing is composed of four groups of 27 squadrons. There is quite a few tenant units on the base including some assigned to the 10th Air Force and the Air Force Reserve such as the 944th Fighter Wing. 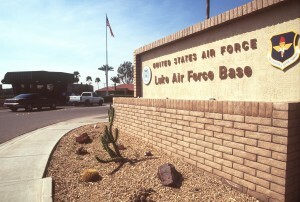 The Luke Air Force Base is located within Maricopa County, Arizona, located roughly seven miles west of the central business district of Glendale. The base is one of the many places that Glas Tek visits each and every day. If you are located on The Luke Air Force Base or live somewhere in the valley and you have broken or chipped windshield, please do not drive. Driving with a cracked or broken windshield is not worth the ticket you will receive and is definitely not worth the risk you take when you drive with your loved ones in the car. Glas Tek delivers directly to you and is very affordable, and is definitely worth the phone call. If you don’t believe that Glas Tek will be affordable I assure you, you will be pleasantly surprised so go ahead and give them a call!